- 12 inches Equals An Entire Foot of Glow! - Comes with a Removable Elastic Cap! - Glow Parties! Signalling Wands! 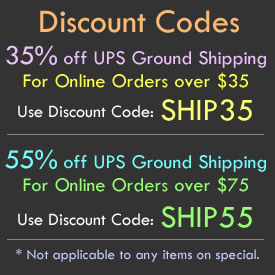 Night Golf / Sports Markers! 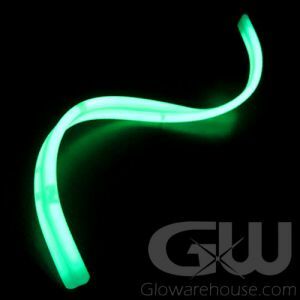 Twelve inches equals one foot and that’s exactly what you get with our extra-long 12 Inch Glow Sticks - an entire foot of glow! 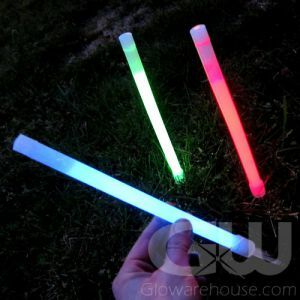 The 12" Glow sticks are a big, fun glow stick that are great for dancing and decorations - the 12" glow sticks make great fun glowing center pieces! 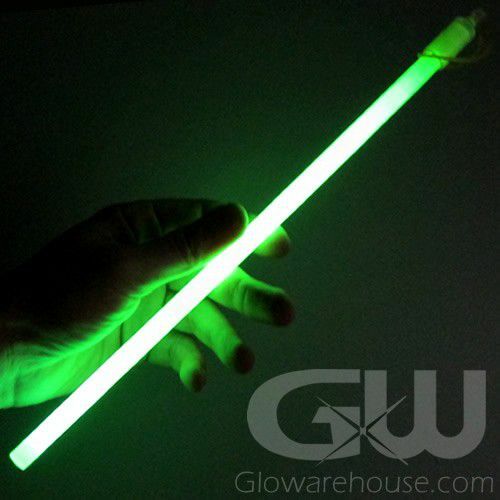 The 12" glow sticks are especially effective as auction wands and for directing traffic in parking lots. The 12 Inch Glow Sticks come with a removable cap that holds an elastic band, which allows you to attach them to just about anything. 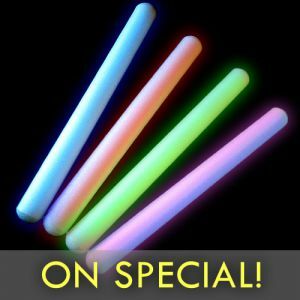 12" Glow Sticks are great fun at sporting events, and all kinds of special events like weddings, parades and fairs, and especially at parties and dances. 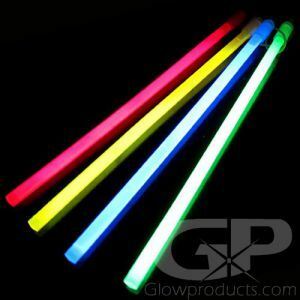 With our dazzling 12 Inch Glowsticks in your hand you will light up the night! 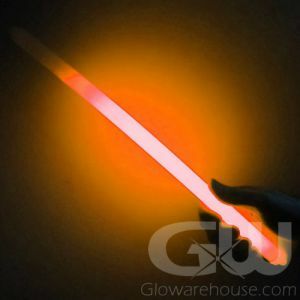 The creative and useful possibilities for brilliant color and light are endless with the 12 Inch long Glow Sticks!